Shingles usually begins with a burning, itching or tingling sensation, often on the chest, back, or around the waist or rib cage. Other areas where shingles can occur include the face and the eye area. 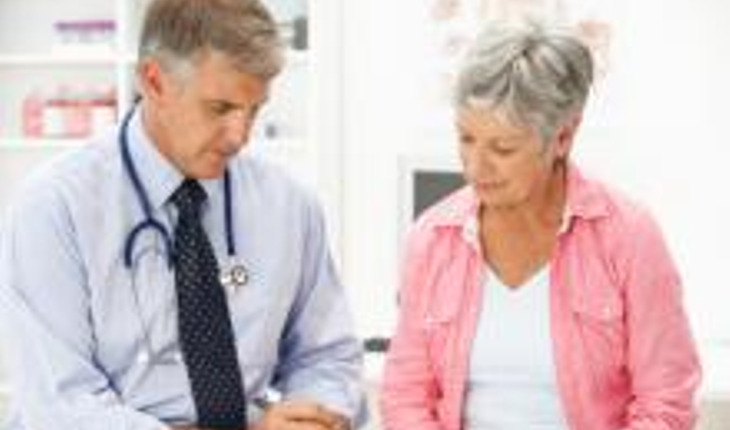 In the early stages, patients can feel feverish or weak, the SeniorHealth experts say. Within two to three days, a blotchy red rash develops in the affected area. After that, small blisters appear over three to five days. The experts say that the blisters look like chickenpox – not surprising, since shingles is caused by a reactivation of the chickenpox virus. The most serious shingles cases usually occur in the face or eyes: They can cause hearing and even vision problems. In the worst-case scenario, the SeniorHealth experts say, damage to the cornea of the eye can result in permanent blindness. While you might not normally go to the doctor for a “minor” condition like a skin rash, chances are you’ll head to your physician’s office if you have shingles. The pain can be severe, with patients variously reporting burning, itching and extreme sensitivity. Don’t wait to get medical care; the faster you go to your physician, the sooner you can get started on a course of antiviral medications. They won’t stop the illness from running its course, the NIH experts say, but they do tend to weaken the virus and its effects. Unfortunately, even after the illness is over, there may still be perisistent pain; this condition is known as post-herpetic neuralgia. It can continue for months and occasionally years, the SeniorHealth people say, especially in people over 60. If you’ve had shingles and find that continuing pain is affecting your everyday activities, talk with your doctor. As for whether a shingles patient is a danger to others, shingles is not transmitted by breathing or coughing on someone. But if you haven’t had chickenpox, avoid contact with anyone who has shingles. The SeniorHealth experts say that the fluid from blisters is infectious. While the infected person won’t get shingles, they could get chickenpox. If you’ve come into contact with someone who’s had shingles, talk immediately with your health care provider about whether to get a chickenpox vaccination. There’s a shingles vaccine as well, and the federal Centers for Disease Control (CDC) recommends it for everyone 60 years or older, whether you have had chickenpox or not. If you have had shingles and are concerned about getting it again, talk with your doctor about the vaccine, since the chances of recurrence in a healthy person are low. For more information on senior health issues, visit www.nihseniorhealth.gov.